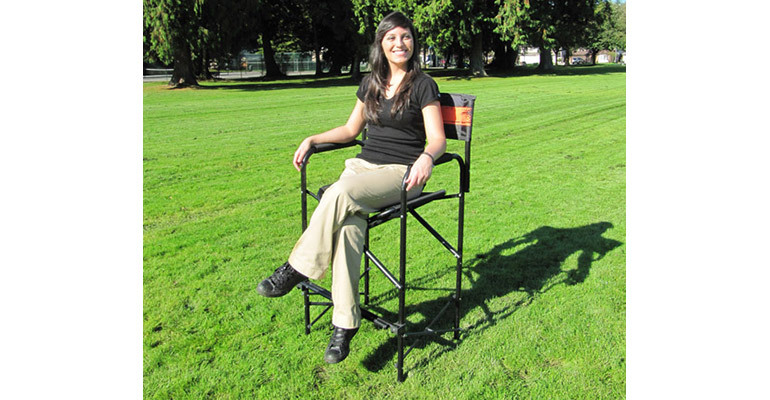 With movie-star good looks, this Impact Director’s Chair should get you a starring role at your special events. 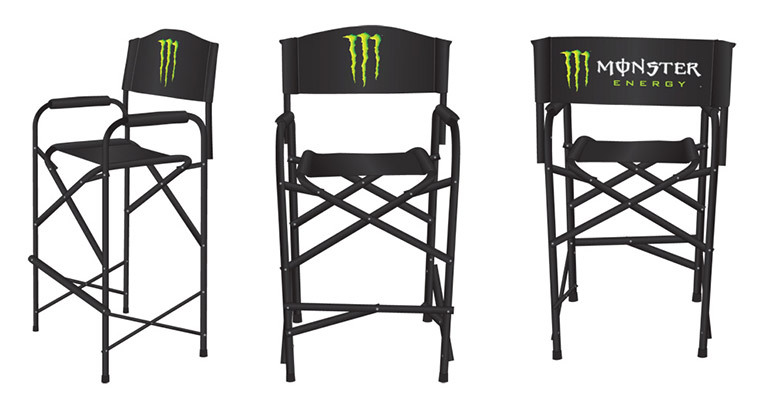 Bring comfort and style to your booth with a pair of custom Director’s Chair. 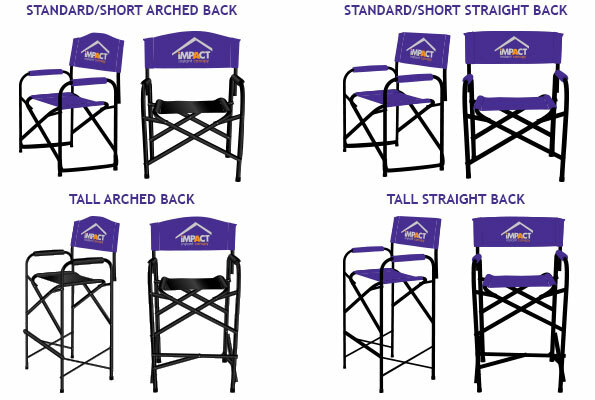 The Impact Director’s Chair is a perfect way to add a finish touch to your booth at any event on a budget. 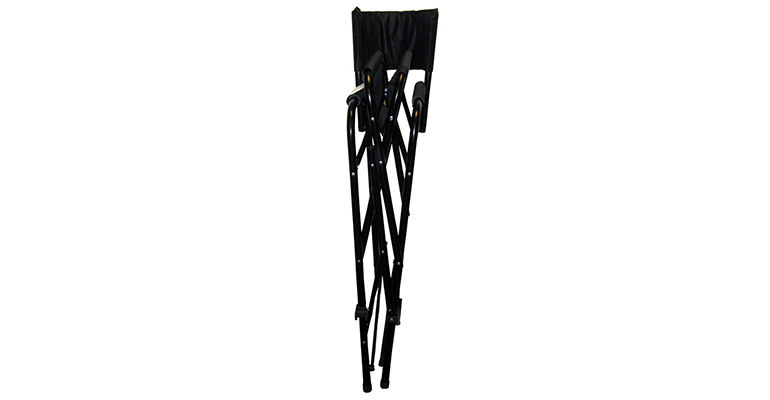 It features a tall seat height with double crisscross supports with a folding design for easy storage and transport. It can be customized with your logo on the back cover. Artwork and printing is included in the price. Choose your Color (lm = lime, gy = grey, fg = forest green, bu = burgundy, ky = kelly green) Choose CUST if getting a custom color, we will email you for exact color specs. Download the artwork template from the links below. Specify if the art is the SAME on both sides or DIFFERENT in the options. Email us your artwork to sales@vsathletics.com with your order #. Allow 4 weeks after artwork approval for delivery.